Mr & Mrs Souter at 013398 81459. 5 Bdrm Detached Dwellhouse. Ground flr: V/bule. Hall. Lounge. Kitch/Dining rm on semi-open plan. Bathrm. 2 Bdrms. Bdrm/Study. 1st flr: 2 Bdrms. Shower rm (CT band - E). Garden. Garage. Parking. Price over £340,000 Entry by arr. 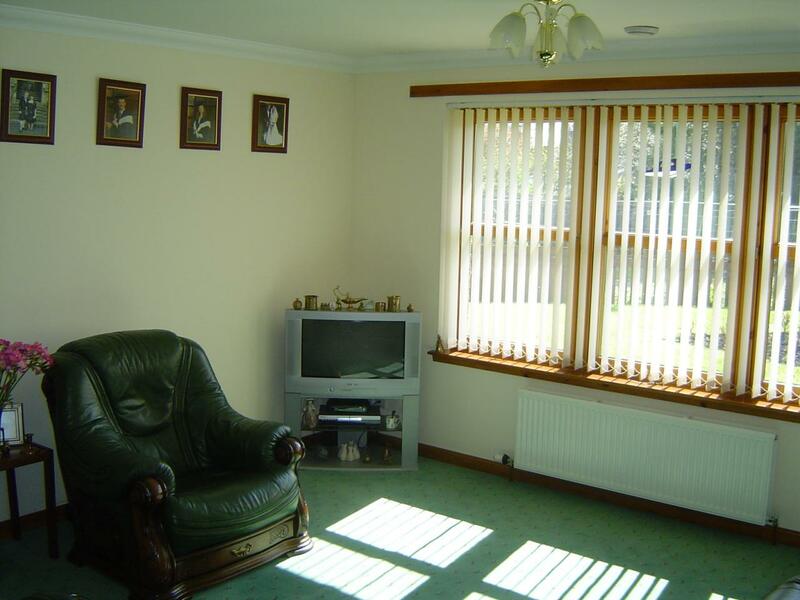 Viewing Mr & Mrs Souter at 013398 81459.. (EPC band - D). Substantial 5 bedroom residence in picturesque location. Innovative, power-saving technologies. Large gardens. 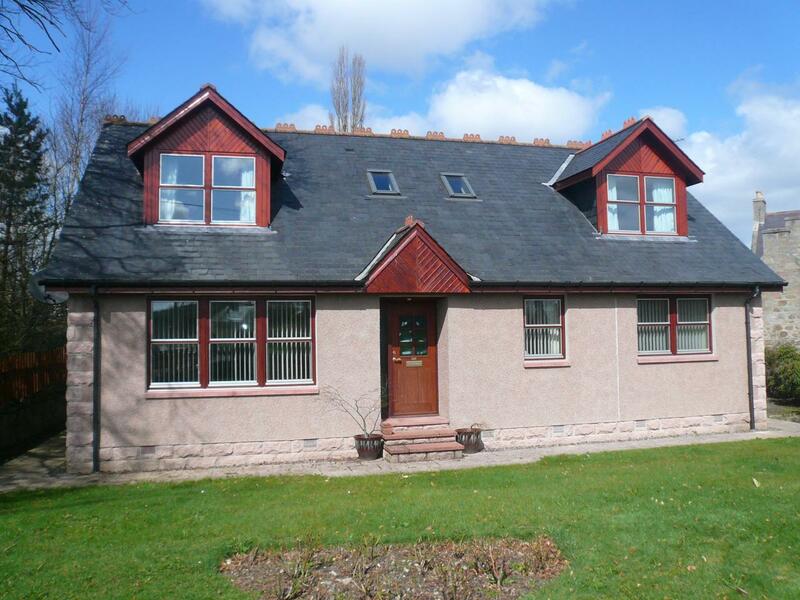 We are delighted to offer for sale this detached, five bedroom dwellinghouse centrally located in the picturesque Deeside village of Tarland. Mar Cottage was built in 1999 by the present owners and further extended in 2007 to form an exceptionally well presented bright and spacious detached family home. 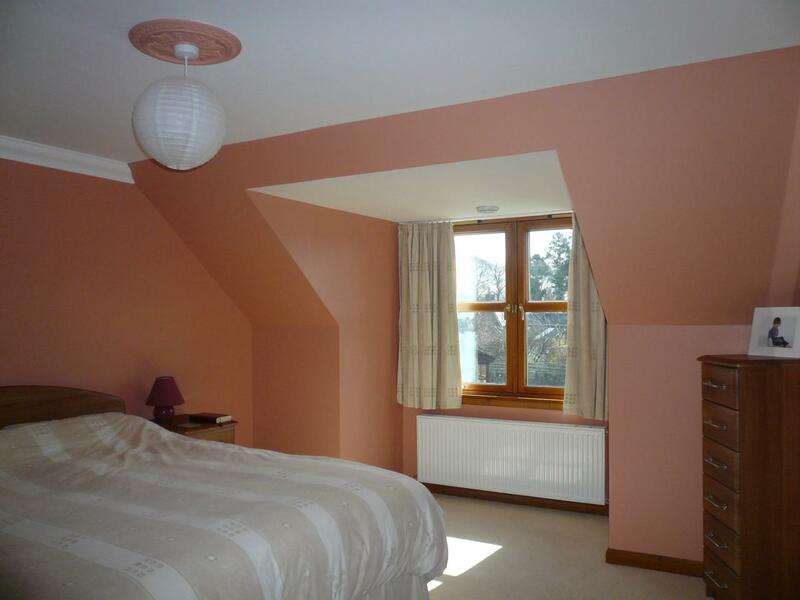 Mar cottage has been designed with great foresight and incorporates such "green" technologies as a heat recovery system, central vacuum system and anti glare triple glazing, complimenting the oil central heating. Each room has TV and telephone points along with at least four double power sockets. Served with Free View aerial and satellite dish. There are beautiful oak doors throughout the property and the doorways have been designed for wheelchair access. 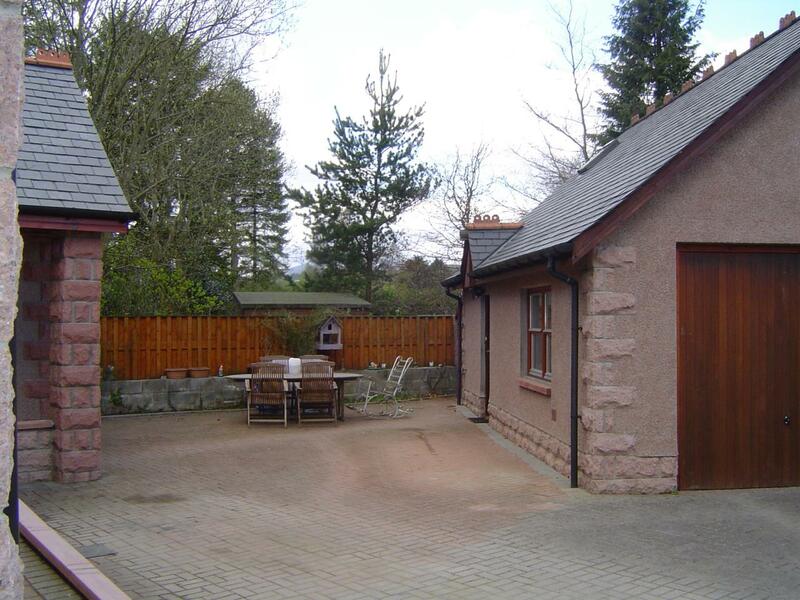 Mar cottage is in excellent order throughout and viewing is highly recommended. Mar Cottage sits in a corner site surrounded by a large walled garden, has off street parking for several cars on a lock block driveway and also benefits from a detached double garage with double glazing, central heating, electric doors and motion-sensor lights. 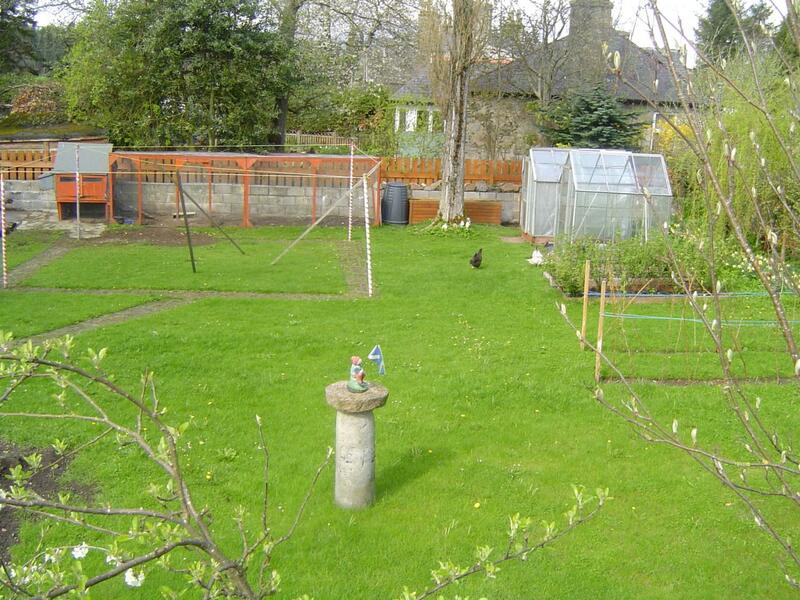 The mature garden is planted with a variety of fruit trees, bushes, shrubs and flower borders, (some plants to be removed by owners) and the large lawn, which is currently used as a drying green, contains a hen house, chicken run, two garden sheds and two greenhouses. All carpets, floor coverings, window blinds, lampshades and light fittings are included in the sale. GROUND FLOOR Entrance Vestibule - Entered via a traditional hardwood door. Coat hooks. Low level double cupboard housing the electric fuse box. Hatch access under the house. Smoke alarm. 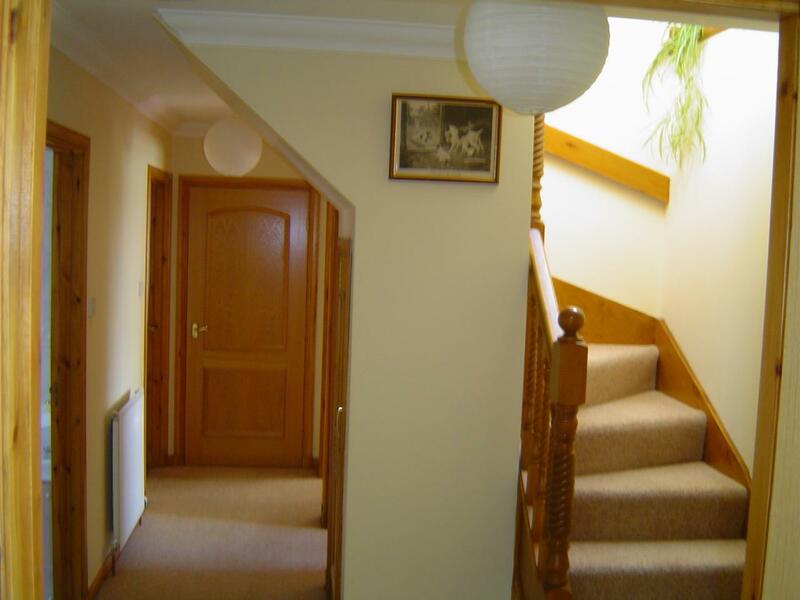 HALLWAY - 5.25m x 2.69m or 18' x 8'10" approx - Spacious bright hall with doors leading to all downstairs accommodation. Two large shelved storage cupboards, one housing the hot water tank. Smoke alarm. Security sensor. Telephone socket. LOUNGE - 4.71m x 4.2m or 15'5" x 13'9" approx - A Good sized room with large window generating lots of natural light and views to the front garden. Two TV points. Four lamp sockets. Radiator. 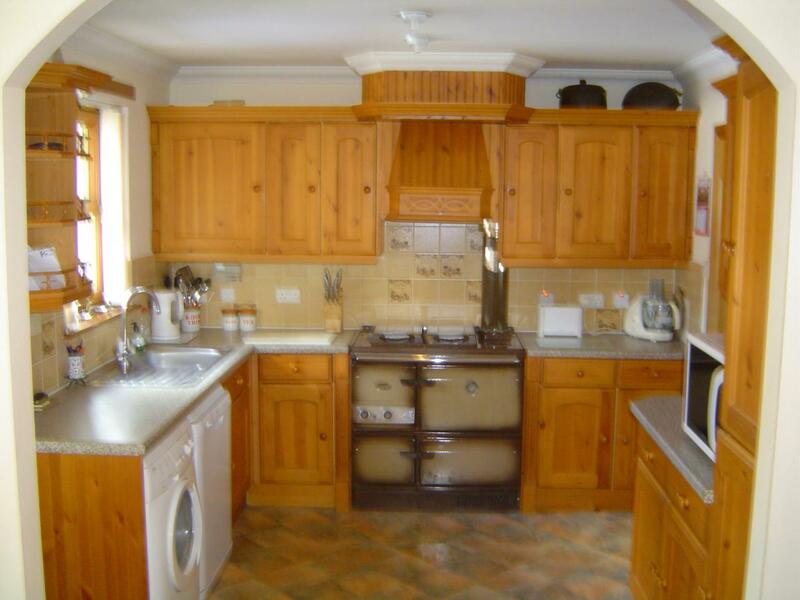 KITCHEN - 3.05m x 2.95m or 10' x 9'8" approx - A well planned fitted kitchen with ample base and wall units, contrasting work surfaces and tiled splash back. A Stanley range cooker provides cooking and hot water and along with the fridge, freezer, dishwasher and washing machine are included in the sale. Burglar Alarm. 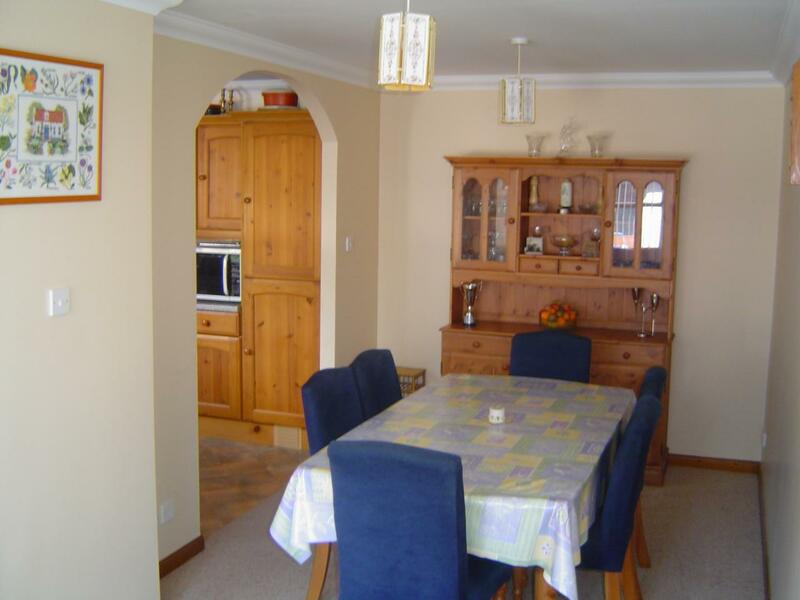 DINING ROOM - 6.14m x 2.52m or 20'2" x 8'3" approx - Spacious bright semi-open plan dining room with three windows at rear. Radiator . BATHROOM - 2.49m x 2.96m or 8'2" 9'9" approx - Luxury family bathroom featuring a Jacuzzi bath, large double shower unit and low level cistern. The bathroom is fully tiled and incorporates a large, integrated vanity unit with spotlights and large mounted mirror. Shaver socket, radiator and heated towel rail. BEDROOM 1 - 3.35m x 3.30m or 11'x 10'9" approx - Good sized double bedroom with fitted double wardrobe and sliding mirrored doors. Views over the front garden. Radiator. 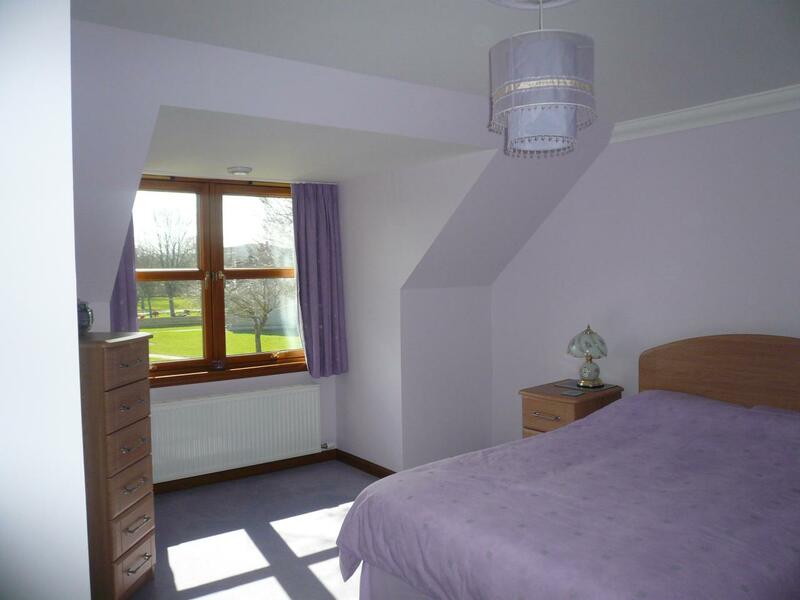 BEDROOM 2 - 3.20m x 3.10m or 10'5" x 10'2" approx - Another good sized double bedroom currently used as a relaxing treatment room with fitted double wardrobe and sliding mirrored doors. Views to side garden. Radiator. BEDROOM 3/STUDY - 3.5m x 2.48m or 11'6" x 8'2" approx - This room could easily be used as a single bedroom but meantime used a study. Views over front garden. Two telephone sockets. Radiator. LANDING - 3.43m x 1.78m or 11'3" x 5'10" approx - Two large shelved cupboards. Smoke Alarm. Recess area and shelves making a perfect reading corner. 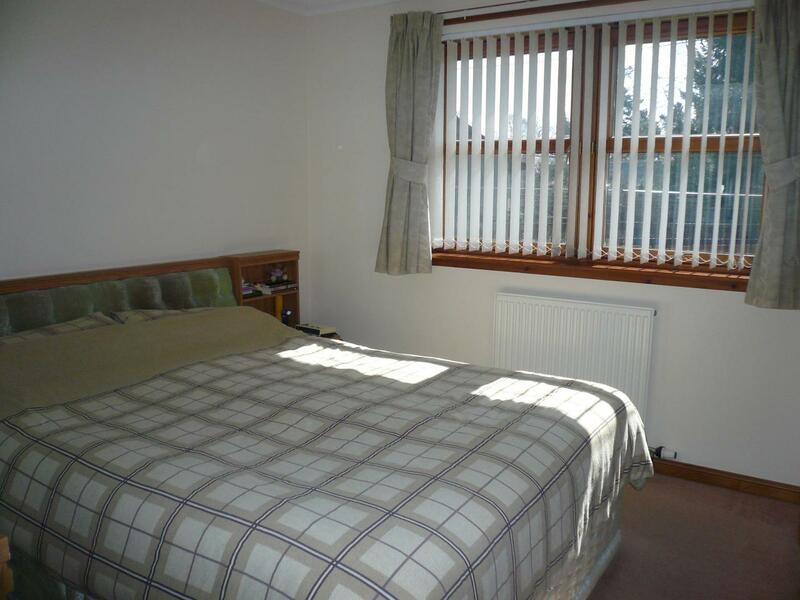 BEDROOM 5 - 5.21m x 3.93m or 17'1" x 12'11" approx - Similar spacious double bedroom again with views to front of property. Dimmer switch. Double wardrobe with sliding mirrored doors. 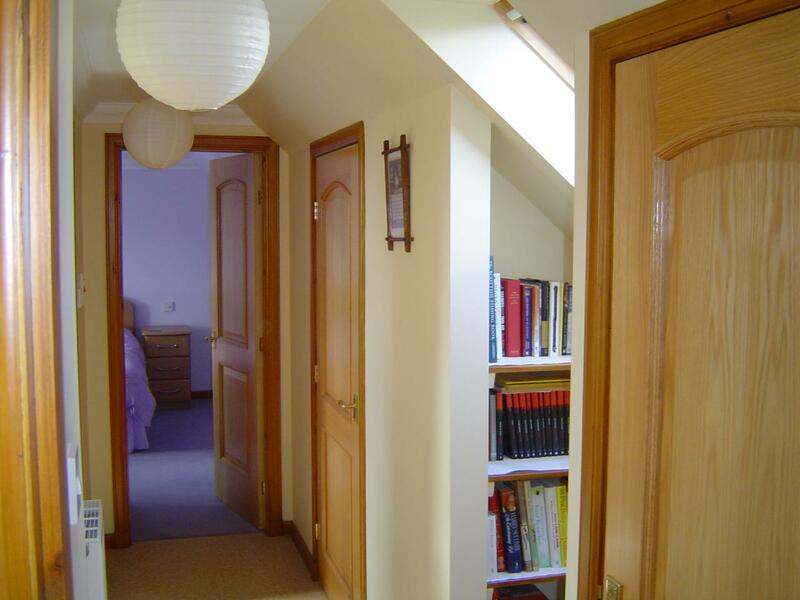 A low level door opens into a floored, lined, carpeted loft and light. SHOWER ROOM - 2.38m x 2.41m or 7'10" x 7'11" approx - Stylish, fitted white suite with low level WC, concealed cistern and contrasting worktop. 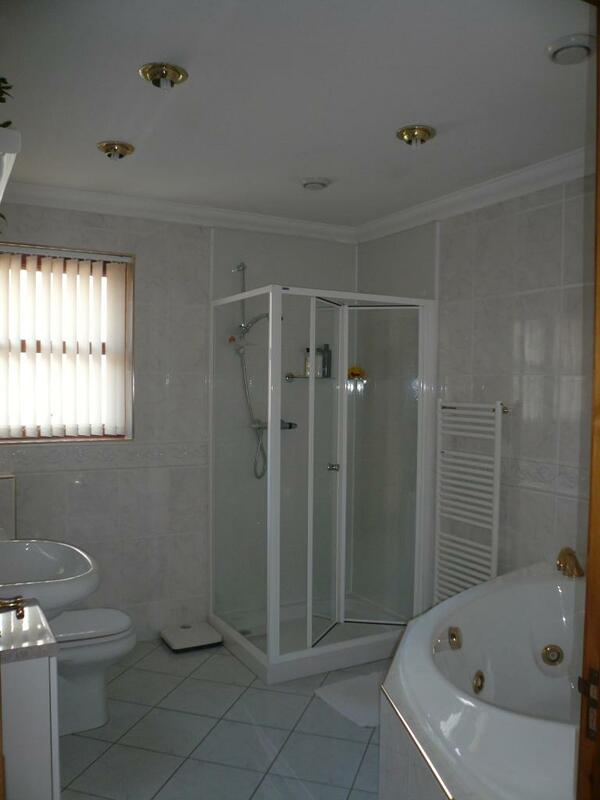 Double shower cabinet with aqua panelling, tiled flooring, mirrored bathroom cabinet with two shaver points. Radiator and large combination electric/oil towel rail. 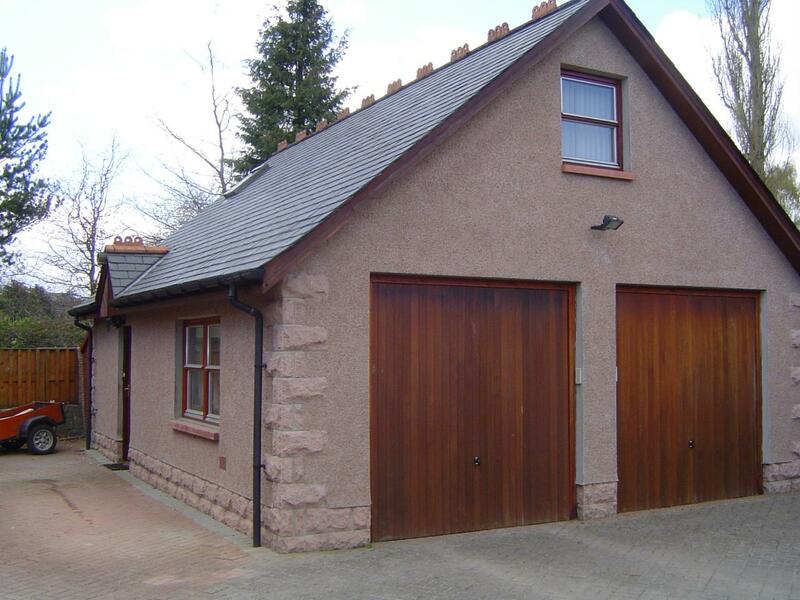 GARAGE - 6.30m x 5.18m or 20'8" x 17' approx - Impressive double garage with central heating, double glazing, electric doors and motion sensor light. 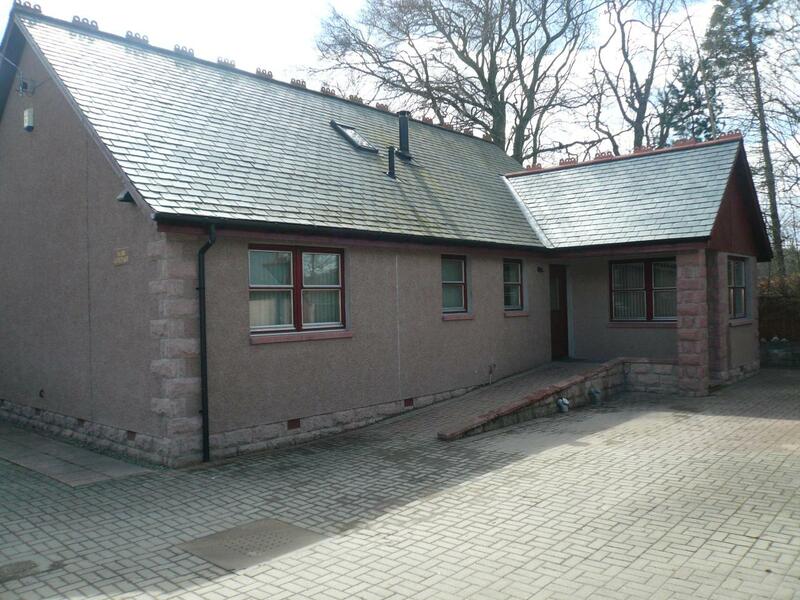 Large open-plan work space with convenient double shower room with WC to rear. Utility area and cupboard space under the stairs. Upstairs may lend itself to a variety of uses. Possibly suitable for conversion to a self contained two bedroom dwelling house, subject to necessary planning consents.